Tax deductions are hidden all over the place, and the keen-eyed citizen can take advantage of them with ease. When selling a home (or any other investment) you should find out when is the right time to sell, to make the maximum profit. But no matter when you sell, there may be deductions available to you, even if you made a profit on your home. Following are a few tips and points of attention to maximize the value of your potential deduction. If you have been residing in the house for at least two of the five years before the sale date, you can exclude part of, or all the gains that you made from the sale, if you made a gain when selling your home. You can normally exclude up to $250,000 of the profit that you made from the sale of your home from your declared income ($500,000 on a joint tax filing). Do not be deterred by the new “Net Investment Income Tax” that came into effect in 2013. The excluded profit does not come under this new tax, and you can still receive a deduction. If you are not eligible for the exclusion, you will have to report the sale of the home when filing. If you have received a Form 1099-S, Proceeds from Real Estate Transactions, then too, you will need to report the sale of the house when filing your returns. Even if you split time between residences, the exclusion can only be claimed once in a two-year period. This exclusion extends solely to your “Main Home,” the home in which you have spent most of the year. This one is pretty straightforward. However, if you used this credit to purchase the home you’re now selling, special rules apply for the sale of the home. It’s always good idea to consult an expert when selling your home to make sure that you are eligible for any tax deductions. And don’t forget, when you sell your home and move to a new home it is important to make sure that you update your address with the IRS and the U.S. Postal Service. The form to be filled is called the File Form 8822, Change of Address, and this should be sent to the IRS. Professional Tax Resolution is dedicated to finding the individual approach to tax planning that is best for you, if you have tax question or a tax debt you are unable to pay, our experienced tax settlement professionals are happy to discuss your tax resolution options free of charge. For more information about our services, visit us today at www.professionaltaxresolution.com or call us at 877.889.6527. Our CPAs, Enrolled Agents and other skilled accountants have a thorough understanding of tax law together with the experience necessary to know which tax settlement optionwill be the best fit for your specific set of circumstances. Talk to a Tax Expert Now. Unfortunately, it can be difficult to tell the difference between an ethical, results-oriented tax resolution company and a tax relief scam. This free report will help you avoid scams. Have you ever wondered what the difference is between a CPA, Enrolled AGent, and tax attorney? 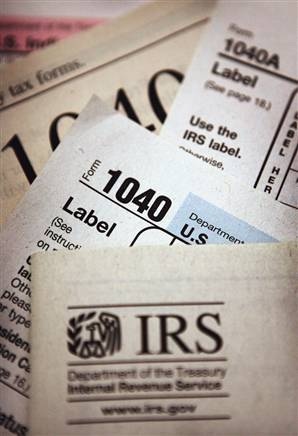 Our report will help you determine which tax expert is best suited for your situation. In today’s economy, many taxpayers have tax liabilities they are unable to pay. 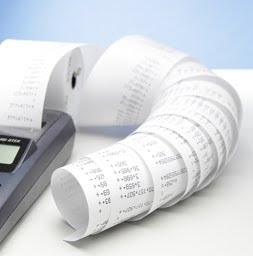 This resource will help you understand the consequences of unpaid tax debt and your options. Are you looking for someone to help you prepare your tax return or settle tax debt? Can you really trust them? Prior to hiring a tax professional, you should ask these ten questions. "Our staff consists of licensed CPAs, Enrolled Agents and other certified tax professionals. We have many years of combined experience working both for and with the IRS. This is what sets us apart from other tax resolution firms and ensures you that you will get the tax settlement results you are looking for." Copyright © 2019 Professional Tax Resolution. All rights reserved.